Freediving is the act of holding your breath while swimming down into the ocean. When someone says “freediving” your mind may picture tough athletes impressively swimming into the deep trenches of the ocean, perhaps even running on the ocean floor. However, you are dubbed as a freediver each time you swim down to explore our underwater world too. Not all freedivers are athletes, though if this particular indigenous group of people were to compete – We are sure they would be the top athletes in freediving around the globe. Read more to find out who The Best Freedivers in the World are. Have you ever heard of the Bajau’s? Based on islands near Indonesia, this indigenous group of people is sure to impress you. But what is it that is so special about them? They can hold their breaths up to 13 minutes at a time underwater in strenuous conditions. If they aren’t called superheros, we don’t know who should be. Otherwise known as “sea nomads”, the Bajau’s are great explorers who have been wandering Southern Asia’s waters for many generations – travelling and living in their houseboats, with fish that they have caught while freediving, as their main form of sustenance. The great extent of how long they could hold their breaths for was only recently discovered. 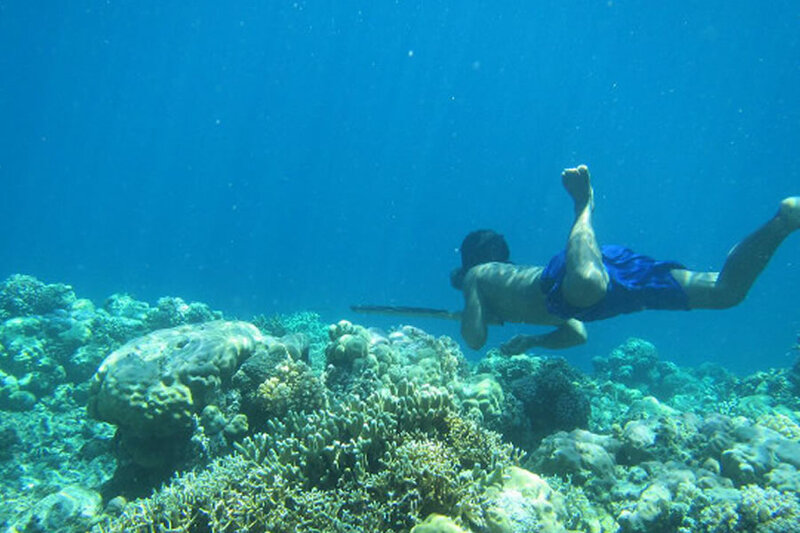 Cambridge University released a study whereby they discussed the reason the Bajau’s could hold their breath for so long. It seems as though the Bajau can credit their superhero breath holding skills to their spleens, which are 50% larger than the average humans. The spleen plays a primary role in “human dive response” or “dive reflex” – which distributes oxygen supply to the heart and brain preferentially thereby allowing them to stay underwater for long time periods. Melissa Ilardo who is the study leader, suggests that this has been seen before when studying deep diving seals who also have spleens which are not proportionate in size. If it happens with the seals, it is no surprise that that this same selection could happen with humans. After a genetic analysis on the Bajau, it was discovered that they are lacking PDE10A, a gene believed to be the cause of their enlarged spleens. Considering that they spend up to 60% of their days in the water, diving to depths of 70 meters with hand-made wooden goggles, it is understandable that their group would have evolved in this direction. The Bajau case sounds similar to that of the “Sea Gypsies” – Moken people who live on the coasts of Burma and Thailand – who have developed advanced underwater vision, which allows them to see even at depths of 22 meters when searching for tiny shellfish and other food in the ocean. Are you impressed? Learn more about the Bajau people here. Have you ever tried to hold your breath for long periods of time, landing up light headed and gasping for air as if you had just run a mile? The Bajau people are impressive athletes for doing what they do. If you are interested in easier sports, which involve breathing actual air, you can join now to bet on sports instead.